Vine is a smartphone app that makes up to six-second long clips that play back on a loop, which might seems not enough for some people. While Twitter video producer Ian Padgham has elevated the format to an art and making Vine videos to a whole new level. 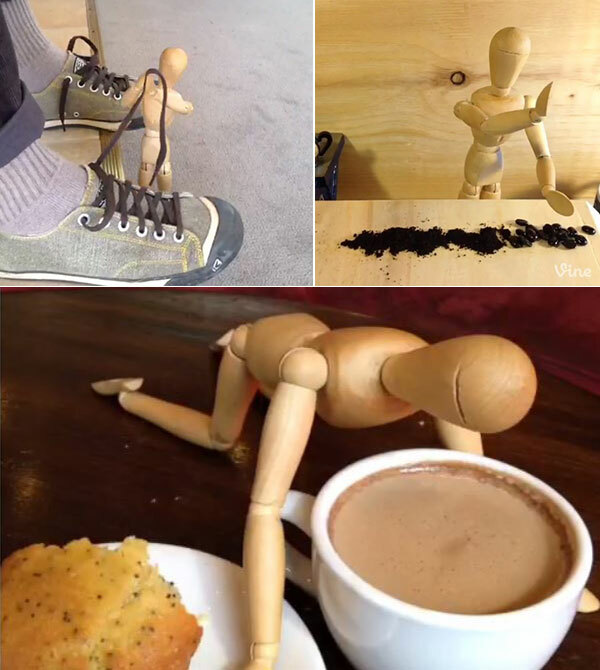 The litter wooden mannequin in Ian’s video are capable of doing so many things: clean the kitchen, make the bed or grind coffee. Take a look at these awesome videos and if you ever wonder how he did that, Ian has a few helpful tutorial videos.